An important stage in the development of an Australian Standard is the Public Comment period. The Public Comment period is usually open for two to three months. Anyone who feels they have something to contribute to a Draft Standard should use the Public Comment Period to provide their view on its provisions. All comments are considered in detail by the relevant Committee and, if necessary, further drafting is undertaken. Individual feedback will not be given by the Committee on the comments provided. AS/NZS 1891.1 - Manufacturing Requirements for Full Body Combination and Lower Body Harnesses. This Standard was prepared by the joint Standards Australia/Standards New Zealand Committee SF-015, Personal Equipment for Work at Height, to supersede AS/NZS 1891.1—2007, Industrial fall-arrest systems and devices, Part 1: Harnesses and ancillary equipment. The objective of this Standard is to specify requirements for the materials, design, manufacture, testing and marking of full-body, combination and lower-body harnesses designed for working at height. (ii) Lanyard and pole strap manufacture. (iii) Ancillary equipment (under development). (b) Alteration of the testing requirements to align with international Standards and foreseeable use while balancing the need to maintain appropriate safety margins in design. This Standard is intended to be read in conjunction with Parts 4 and 5 of the AS/NZS 1891 series. The terms “normative” and “informative” are used in Standards to define the application of the appendices to which they apply. A “normative” appendix is an integral part of a Standard, whereas an “informative” appendix is only for information and guidance. This Standard specifies requirements for the materials, design, manufacture, testing and marking of full-body, combination, and lower-body harnesses designed for working at height. The following documents are referred to in the text in such a way that some or all of their content constitutes requirements of this document. NOTE Documents for informative purposes are listed in the Bibliography. 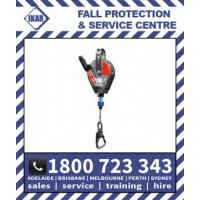 This Standard was prepared by the joint Standards Australia/Standards New Zealand Committee SF-015, Personal Equipment for Work at Height, to supersede AS/NZS 1891.3—1997, Industrial fall-arrest systems and devices, Part 3: Fall-arrest devices. 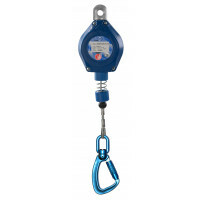 The objective of this Standard is to specify requirements for the design and performance of fall-arrest devices which travel along a fixed or flexible anchorage line, and those which pay out an anchorage line. This edition has removed the Australian appendices and design requirements, referring instead to relevant European and American Standards. 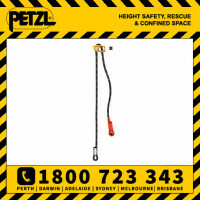 At the time of producing this Standard, there do not appear to be any Australian manufacturers producing fall-arrest devices. Those devices being made available in Australia are generally imported from Europe and America, whose Standards are equal or more advanced than our Australian Standard. This Standard has been revised providing a comprehensive list of requirements which include the recognition of specific international Standards and the schedule of tests found in those Standards. Australian manufacturers are able to follow any of the appropriate test schedules detailed in Table 1 of this Standard (AS/NZS 1891.3). This Standard specifies requirements for the design and performance of fall-arrest devices which travel along a fixed or flexible anchorage line, and those which pay out an anchorage line. For the purpose of this Standard the definitions in the AS/NZS 1891 series and those below apply. Connecting element specified for a subsystem with a guided type fall-arrester. A rigid anchor line, connecting element to which a guided fall-arrester is attached and may be attached to a structure at intervals along its length. 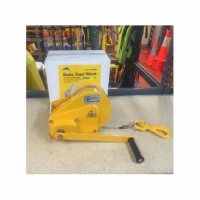 This Standard was prepared by the joint Standards Australia/Standards New Zealand SF-015, Industrial Height Safety Equipment, to supersede in part AS/NZS 1891.1—2007, Industrial fall-arrest systems and devices, Part 1: Harnesses and ancillary equipment. The objective of this Standard is to specify requirements for the materials, design, manufacture and testing of lanyard assembly, pole straps and personal energy absorbers for fall-protection purposes. Self-retracting lanyards are not covered in this Standard. This Standard specifies requirements for the materials, design, manufacture and testing of lanyard assembly, pole straps and personal energy absorbers for fall-protection purposes. NOTE Documents referenced for informative purposes are listed in the Bibliography. For the purpose of this Standard, the definitions below apply. Users of any item of equipment specified in this Standard are warned of the importance of consulting both AS/NZS 1891.4 and manufacturers’ recommendations before selecting and using that item for any purpose and further ensuring that persons using the equipment are competent to do so. Incorrect selection for a purpose or misuse of an item can result in user safety being seriously compromised.